Multiparameter water quality sondes can be used alone or as part of a larger monitoring system to provide users with high quality, defensible data. They provide a complete sensor suite that can tolerate long deployments in remote locations. EXO offers a wide range of capabilities to those dedicated to monitoring natural aquatic environments such as oceans, estuaries, rivers, lakes, and groundwater. EXO was designed to be extremely versatile, allowing the user to configure a sonde for different applications in minutes. The key to this versatility is the smart sensors and smart ports. Each smart port is identical and automatically recognizes any EXO sensor so sensor payloads are designed by the user. The EXO1 water quality sonde is a new YSI multi-parameter instrument that collects data with up to four user-replaceable sensors and an integral pressure transducer for depth. The EXO2 water quality sonde is a new YSI multi-parameter instrument that collects data with seven user-replaceable sensors, a central wiper to keep sensors clean of biofouling, and an integral pressure transducer for depth. YSI’s best-in-class EXO2s, is built for spaces and places that can’t accommodate the EXO2. 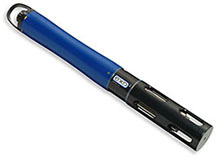 EXO2s is a customized, battery-less sonde that comes with the same warranty and capabilities as the EXO2. 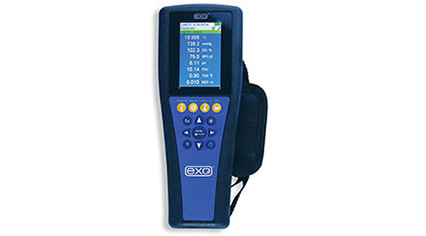 The new EXO Handheld display from YSI interfaces to EXO sondes and is designed for reliable field use in challenging environmental conditions. Log real-time data, calibrate sensors, set-up sondes for deployments, and transfer quarter quality data to a PC. YSI’s upgraded 6-Series family includes versatile, multiparameter sondes designed for real-time environmental monitoring and extended deployment. 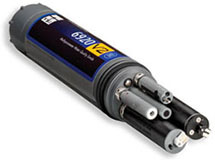 All YSI sondes optical sensors and rugged design for unattended monitoring. Seven V2 sondes are offered with sensor payloads ranging from 5-9 sensors and multiple memory and power options to accommodate many different applications. In addition to the sensor options, YSI software calculates up to five additional parameters. The YSI 6920 V2 sonde is an economical water quality logging system, ideal for long-term in situ monitoring and profiling. Measure optical dissolved oxygen, chlorophyll, blue-green algae, rhodamine, or turbidity in combination with temperature, conductivity and depth. Designed for use in fresh, sea or polluted waters, the 600OMS V2 data sonde utilizes the field-proven YSI sensors and incorporates innovations in water quality sensor configuration such as a conductivity and temperature module that fits into the sonde body. In addition to carrying these product lines, Geotech is a certified service center for the YSI 6-series and EXO line of products. Our main office and service center, located in Denver, Colorado, puts us in close contact with customers in this region.